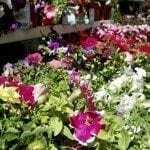 I was wondering which type of flowering annuals do well in pots. The location of the pots is a northern exposure with full sun. . . in New York.